Studio/Runtime: Roadside Attractions /143 min. After three pictures with largely the same, increasingly annoying hypertext structure Alejandro Gonzalés Iñárritu’s feud with his longtime screenwriter Guillermo Arriaga looked like it could actually be a good thing for the director, leading him into new territory when he was verging on self-parody. 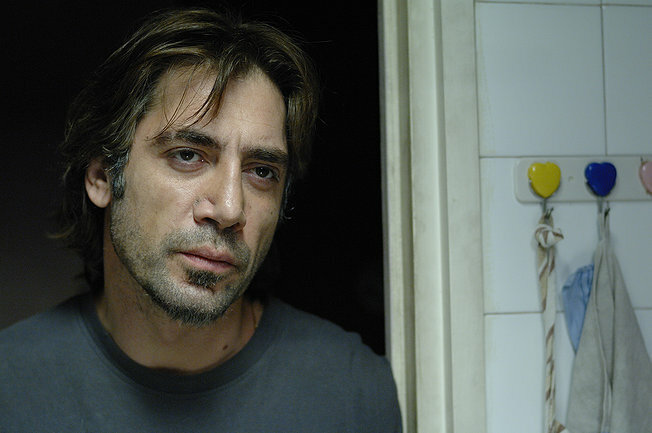 As such, Biutiful is linear, telling the story of how Uxbal (Javier Bardem) spends the last days of his life when his death is imminent and it seems certain his family will only fall into even deeper poverty when he’s gone. Gone are the international dramas, this is Uxbal’s story and he’s in every scene, driving the story onwards to its foregone conclusion. Unfortunately, while Iñárritu decided to limit himself to one protagonist, he hasn’t lost his interest in making movies about everything. Biutiful just piles on the misery, and Uxbal completely loses his humanity along the way. Instead of just running some bootlegging jobs for a living, Uxbal also takes people’s money by working as a (possibly real?) psychic on the side. His wife has a drug problem, but she’s also cheating on him with his brother. His children are hungry, but he also decides to take care of a homeless friend and her child as well. Biutiful ceases to be about any specific story, instead it’s a mishmash of sensationalistic problems that Uxbal seems to be more or less randomly involved with. Worse is the fact that many of these plotlines are largely there just for thematic reasons, a pretension which retroactively makes not only them but also the more heartfelt parts of the movie feel coldly intellectualized. Still, there’s no way a movie from Iñárritu and Bardem could be a complete bust. Iñárritu shines in the way he frames and covers specific scenes, and a police chase sequence is particularly riveting—it’s just that he should stop writing his own material, which is full of heavy-handed symbolism and clichés. Bardem does the best he can with this, and is sometimes able to make Uxbal into more than just Iñárritu’s cipher, but he struggles over clunky lines and unmotivated emotions. In all, this leads to some interesting moments and ideas in the film, but rarely are they executed as well as they need to be, especially to make two and a half meandering hours compelling. Biutiful’s biggest disappointment comes from how interesting it could potentially be. The film feels almost like a rough cut, in which a good editor could pull an intriguing 90 minutes into a great feature that touches on much of the same ground as the larger film while removing some of its sprawling excess. As it is, though, the film just doesn’t come together, and all the well-meaning social criticism and award-winning emoting from Bardem can’t change that fact.